Is the NIA Targeting the Opposition in Nagaland? 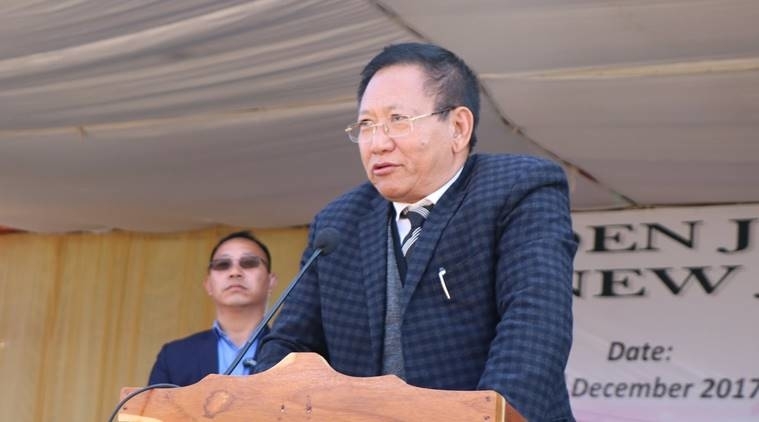 Former Chief Minister T. R. Zeliang has been issued summons by the NIA one day before the first session of the new Assembly. The NIA issued a summons to T. R. Zeliang, the former Chief Minister of Nagaland in respect of a terror funding investigation. These summons on March 12, came soon after Chief Minister Neiphiu Rio took oath on March 8. Zeliang has alleged that the summons is politically motivated, particularly so since he is the leader of the opposition and the summons was issued one day before the first session of the new Assembly. The NPF has come out with a statement where they raise questions regarding the nature of the investigation. They have alleged that as soon as the Notification for holding the Assembly Elections was announced, three members of the CMO’s staff were summoned by the NIA to Guwahati. They were let go after a few days of questioning. A day before the Assembly Election results were announced, one of the members of the CMO’s staff was again summoned, but to Delhi where he underwent questioning for five days until Zeliang resigned from the Office of Chief Minister. Zeliang, on the other hand, has sought a fresh date for appearing before the NIA. The terror funding investigation began in 2016 when the Union Home Ministry assigned the investigation to the NIA after a cadre of the NSCN(K) was arrested in Dimapur. The cadre described himself as the Finance Secretary and oversaw the collection of ‘tax’ from the Kohima and Dimapur areas. Several incriminating documents were found in his possession relating to payments made by various government departments, businesses and individuals in Nagaland. The NIA also seized incriminating documents from up to 14 different government departments which showed payments made up to Rs. 2 crores to the NSCN(K), as well as the NSCN(IM) which is in talks with the Union Government. In Nagaland extortion notices are routinely sent to businesses, contractors, individuals and bureaucrats in the state government. This is true not just in Nagaland but also in Manipur as well as for the tea gardens in Assam. Therefore, it should not come as a shock that funds were being paid to a militant group by government departments. It is also known that in Manipur, a flat income tax of around 30% is levied on the salary of government servants by insurgent groups and like in an efficient bureaucracy this is deducted at the source. However, it cannot be disputed that T. R. Zeliang was aware of these payments being made. On the other hand, these payments were possibly also being made during the time of his predecessor, Neiphiu Rio. To what extent the two Chief Ministers supported the payments cannot be ascertained. However, it should not come as a surprise that is occurred at all. What needs to be seen however is whether the NIA will be used by the Union Government to control both the Chief Minister as well as the leader of the opposition. At present, it appears that the leader of the opposition is the target, if Rio steps on the Union Government’s toes, then he too may find himself in the crosshairs. The investigation may also be a means to tighten the purse strings of the NSCN(IM) to ensure they accept the Final Agreement with no scope for restarting an insurgency.